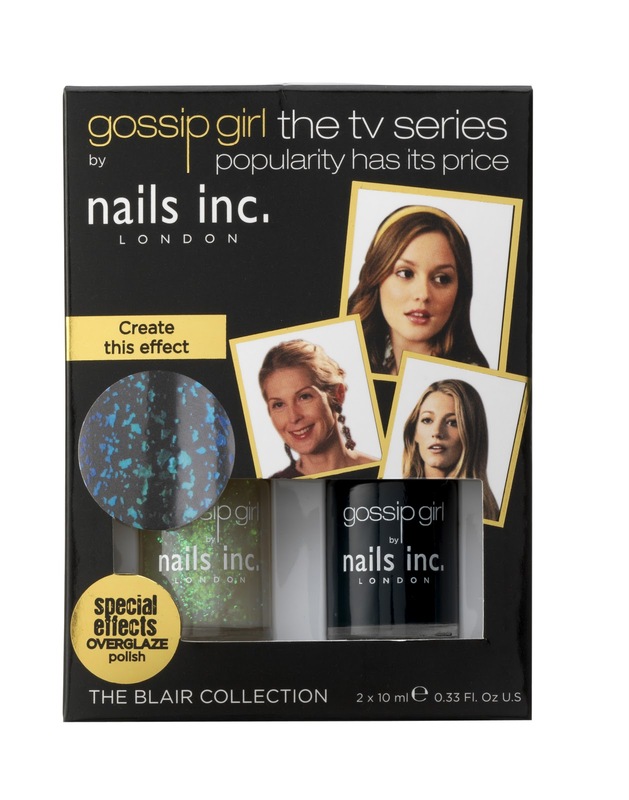 But as if released just to tide me over until I can get my next Gossip Girl fix, Nails inc have released three new special nail effects called ‘overglaze’. 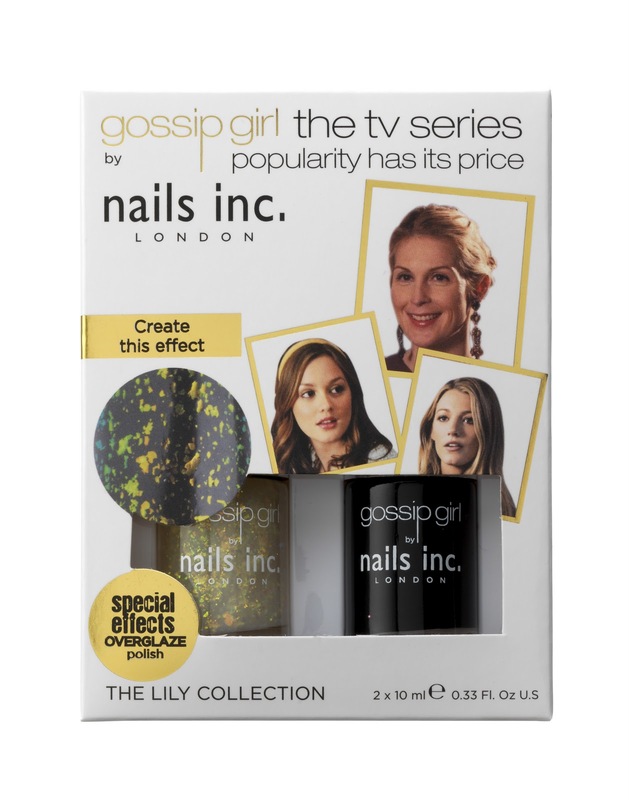 They come in Gossip Girl duos of ‘Lily’, ‘Blair’ and ‘Serena’. 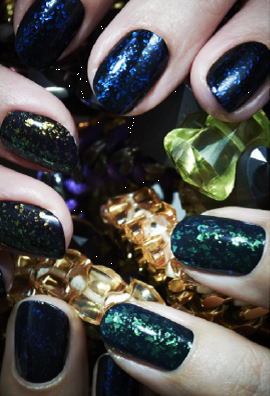 Teal black ‘Blair’ nail polish with ‘Privileged’ blue / green over glaze top coat. Plum black Lily nail polish with High Society red / green over glaze top coat. 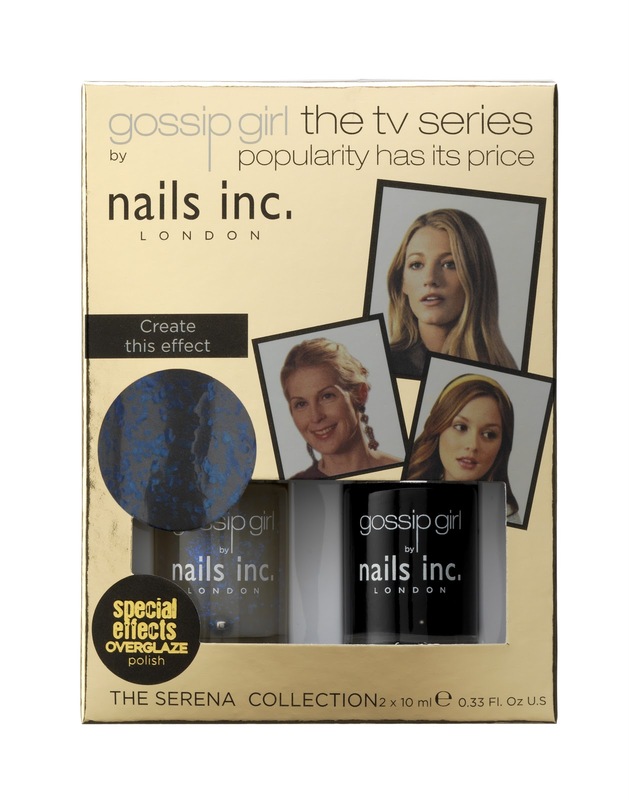 Patent black Serena nail polish with It Girl electric blue over glaze top coat. Each base coat and over glaze combination creates a different effect – with the large pearl/reflective particles creating everything from a rich blue to yellow/green or vibrant turquoise effect. I think my favourite combination is the ‘Blair’ combo, the top of these pictures. Which do you like the look of?? Next Post Happy weekend all! I like the plum black Lily!!! They’re all lovely but really pricey. I wonder why do they cost so much. Last summer Essence discontinued a nail polish that looks really similar to the overglaze in the Blair duo.